The shocking revelations uncovered in yesterday’s release of the FISA memo reveal a pattern of treason among top officials at the FBI and DOJ, warns Congressman Paul Gosar of Arizona. The FISA memo documented how the most powerful law enforcement elements of the United States government were weaponized under President Obama to illegally spy on Republican political targets. A secret FISA warrant application that gained approval for the spying operation was fraudulently engineered, relying largely on a fictional “dossier” of salacious lies that was largely funded by the Clinton campaign. The House Permanent Select Committee on Intelligence memorandum on the FBI abuse of FISA warrants and targeting a sitting President is not just evidence of incompetence but clear and convincing evidence of treason. This is third world politics where the official government agencies are used as campaign attack dogs. 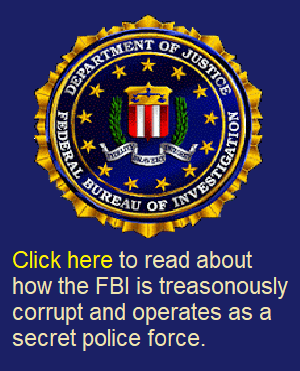 The full throated adoption of this illegal misconduct and abuse of FISA by James Comey, Andrew McCabe, Sally Yates and Rod Rosenstein is not just criminal but constitutes treason. I will be leading a letter to the Attorney General seeking criminal prosecution against these traitors to our nation. Finally. Let me say this to those members of Congress who fought so hard to keep the truth from the American public. Your efforts to protect a corrupt organization are duly noted. I am not surprised Sen. Flake has again cast his lot with the Democrats and those that attack true patriots. Good riddance. In an effort to prevent these shocking details from being made public, the FBI withheld details from Congress for months. Even more disturbingly, Rod Rosenstein reportedly threatened House Intelligence Committee members to try to prevent them from approving public release of the memo. To the alarm of many observers, there isn’t a single prominent Democrat or left-wing media organization that has denounced the gross abuse of power detailed in the FISA memo. Without exception, every left-wing media outlet and Democrat lawmaker remains complicit in the treason, even sometimes endorsing the tactics as “necessary” to remove a President that was elected by the will of the People through a lawful democratic process. This realization proves just how dangerous the Left Cult has become, demonstrating that they are totalitarians through and through, believing that the “proper” role of government is to be deployed as a weapon to destroy political opponents. In effect, as I’ve stated numerous times, these revelations prove that Democrats are not qualified to participate in any democracy. They do not honor the rule of law, and they reject the outcomes of any elections they don’t fully control. It’s clear from these events that Democrats are a clear and present danger to this Republic (and all its citizens). Today, I am calling for the arrest, indictment and prosecution of not only these individuals who committed acts of fraud and treason, but also the arrest and indictment of so-called “journalists” who took money to plant fake stories in the left-wing media. They are complicit, of course, in the treason. And it’s time they finally faced real repercussions for their role in the attempted political coup targeting our country. 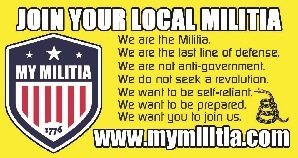 Real Americas must also get prepared to defend your country against the attempted violent coup of the deranged Left, which first tried to achieve a coup via “shadow government” means, but has now been exposed. Their next gambit will involve a physical “revolt” attempt that’s likely to thrust America into a bloody civil war conflict across many U.S. cities. Ultimately, it’s clear that Democrats respect no laws or democratic processes whatsoever and are filled with so much blinding anger and rage that they are incapable of being reasoned with. This is what makes them so dangerous to any civil society. Sooner or later, We the People are going to have to defend our country against their animated attempts to overthrow it by force. 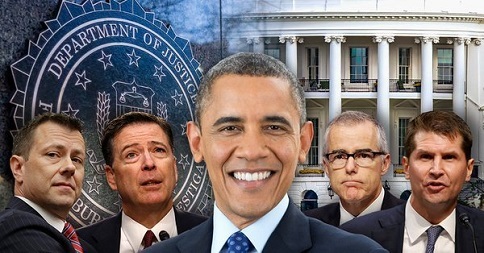 Finally, investigations that follow the facts of the FISA memo will inescapably lead to the doorstep of both Hillary Clinton and Barack Obama, both of whom have deliberately acted as criminal traitors to this country. If we are to take back this country from the deep state shadow government, both Clinton and Obama must be arrested and indicted for their roles in these high crimes of treason that targeted our sacred Republic. It’s likely that Obama will never actually face criminal indictment due to the protections inherent in the Office of the Presidency, but Hillary Clinton’s crimes of theft of government property, destruction of evidence, mishandling of secret materials and criminal conspiracy enjoy no such protections. If Clinton is not ultimately indicted before the end of 2020, then we have forever lost our country to the swamp. This is the key milestone to watch. It is the true litmus test of whether the United States of America is a nation with true equality under the law. It’s even ironic, by the way, that Hillary Clinton demands “equality” when it comes to gender and social issues, yet she has never been held to anything resembling equal accountability under the law.